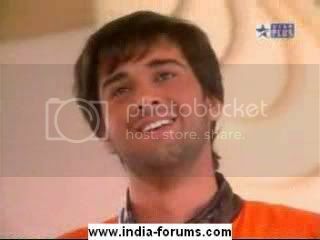 As a part of the younger generation, Lakshya Virani, played by Pulkit Samrat, stole the hearts of many viewers with in a matter of minutes. His grace on television, along with his stylish looks, seem to mesmerize the audience. Many viewers complimented his eyes, which symbolize the epitome of Lakshya's character-immortality. This section will contain the important dates as they relate to Lakshya, so members can go through video archives and easily find the episode they want!!! June 19- Lakshya and Krishna Tulsi meet//Lakshya and Tulsi Dadi meet. NOTE: THE SIGNATURES/BANNERS HAVE BEEN MOVED!! Scroll down to find the url of the banners members have made!!! i'm the 3rd member in the club!!!!!!!!!!!!!!!! shouldn't this be a sticky then?? WOH WOH WOH! That's the biggest mistake! ElviraRK_PC	 1172 41283 2017-05-29T13:42:32Z .Nivedita.